Thinking of you and your family - sending our sympathy. So sorry for your loss. She was a wonderful person and will be missed. May you find comfort in knowing she is no longer suffering. 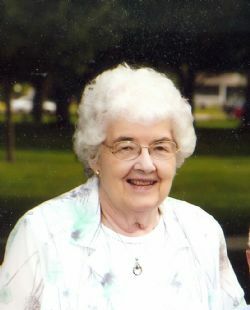 My deepest sympathy in your loss of a precious mother, grandmother, great grandmother, sister. You are in my thoughts and prayers during this difficult time. May the Lord wrap His arms around you and comfort you in the days ahead.